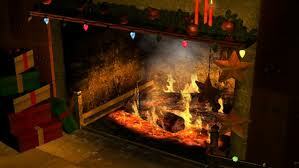 Fireplacing was released on December 6th 2010 by Korner Entertainment for the WiiWare service and is nothing more than a virtual fireplace simulator. You can choose to manually start the fire and stoke it from time to time or just have the game automatically do this for you. If this sounds boring, it's because it is. The game doesn't even look as realistic as most PC screensavers so it fails even as a fireplace scene on your TV for those special occasions. 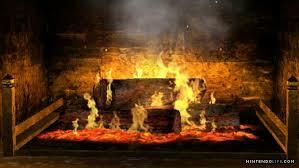 The sound of the flames burning and the wood crackling is at least done right, but it isn't enough to save this screensaver from being thrown into a real fireplace to be burnt. The final verdict I have for fireplacing is that it is a poorly developed screensaver that is hardy worth the 500 Wii points it costs and should be avoided at all costs. This is the only game that has received a 1/10 here at WiiWareWave. I'm happy that I wasn't the person reviewing this game! Nice review FuManchu it was a fun read. Lol I knew that Fireplacing would get the worst review score yet. Fireplacing is as bad as games get. Great review dude. Thanks for reviewing Fireplacing it was fun to read what you thought of the game! I just noticed that you reviewed the game on the third anniversary of its release. This should be considered more of an app instead of a game, but it really is bad. The tag line is golden! jeez, whats the point? They should just give this game out for free.